We get your services and products onto the handheld of your customers. And your message to your target group. We are an international boutique agency with a digital heart. We are proud to have the geekiest geeks that dream of security and database optimisation. We have the technical know-how in-house, and put it to use for your projects. The result must serve a clear purpose. That’s our starting point. Our company culture is free and creative, built on solid technical knowledge grounds. We actively search for, and promote, an international mix in our teams. We have own in-house production capabilities, including web and mobile development, digital marketing, 3D production, motion graphics and video to deliver high quality projects for local business heroes and multi-national companies. Motion Graphics and Animated Ads. We realise state of the art digital solutions – starting from idea to the end customer release – specialised on web and mobile platforms. 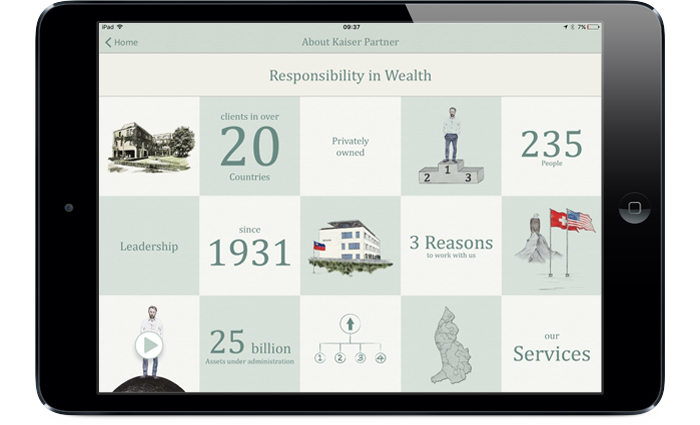 Kaiser Partner is an award-winning, family-owned wealth management group and private bank that combines tradition with a modern, forward-looking business model. We have developed an iPad application to be used by relationship managers. It offers an original way to present the company with graphics, slides and videos. The document library is always complete and up-to-date, next to a wealth of client solution examples. It goes without saying that everything is encrypted and all is highly secure, fully meeting the expected bank- and data protocol standards. 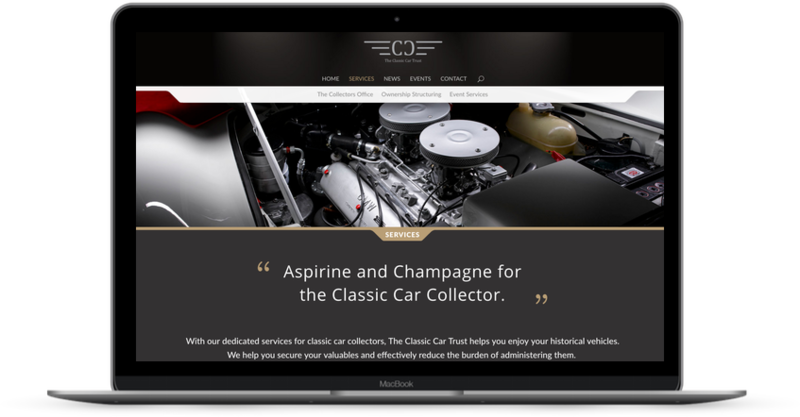 The Classic Car Trust focuses on offering high end services for classic car collectors, event organisers and other industry related organisations. We have defined and developed a responsive, highly graphical dynamic website & blog fully managed by the client. The website was developed with a strong focus on SEO in order to keep and improve the presence of the website on search engines. Briko is a leading Italian brand that produces apparel and accessories for professional skiers and cyclists. Their iconic products target athletes who demand performance, safety, and style without compromise. We defined and developed a custom eCommerce platform to relaunch the online shop activity of the customer. A full integration with existing internal platform permitted an improvement on speed and efficiency. We are very curious to hear your stories, concepts, ideas, or business challenges. Call the office nearest to you, use the form or send an email to hello@21ilab.com.